I’m hooked, addicted and already have a long list of what I plan to create with my smoking hot crochet needles. Preferably I want to create things that somehow can be useful and used, and not only for decoration, and when possible use natural materials.. but there will always be exceptions, I know myself. Well, my second homemade piece of creation is finally done, so yes, I DO find some time between daily challenges, motherhood, animals, studies, work and workouts: a couple of warm mittens, crocheted, felted, blocked and decorated with som simple stitches I have learned online. The result before and after the process of washing, felting, blocking, drying and simple stitch decoration. Before the felting the mittens had size big, but the felting also shrink them to fit my hands. I prefer mittens felted so they get warmer, tighter and more wind resistant. The transitions will also look a bit smoother. These mittens are pretty quick to make with the chunky Eskimo wool yarn – but waiting for ordered yarn supplies in the middle of a piece of work feels like a million years when you need it right away!.. 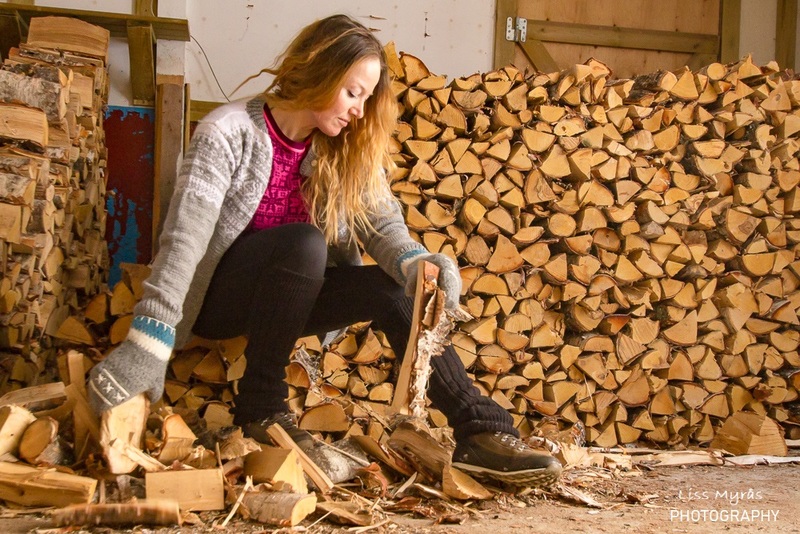 kind of..
No wood chippings in my hands while sorting/collecting firewood in my barn, and no icy fingers in the ice-cold wind today – the felted mittens takes care of it! 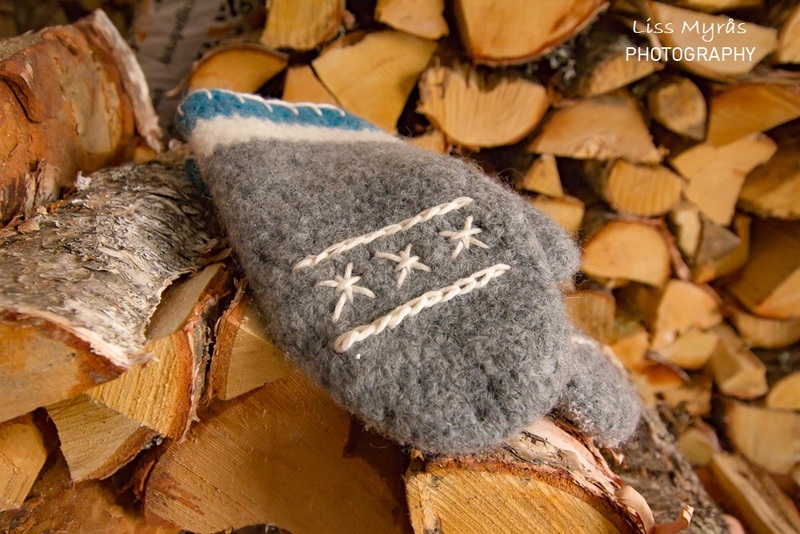 These mittens will do fine by washing them carefully by hand in water, form and dry flat. But after I used them to gather some firewood in my barn today, they got full of filth and small clinging bark crumbs, that just don’t look nice. So…. … I just went outdoor and simply rubbed the mittens in between some fresh snow, the wool will try to repel the water and apparently the filth too .. afterwords the mittens looked new again. 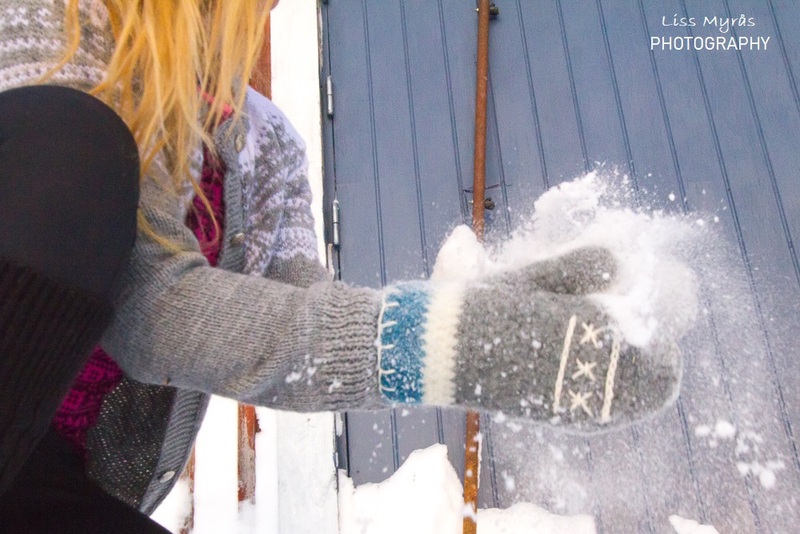 This is a bit similar to an old trick people used to do (and still do) – washing their wool rugs in powder snow. It actually sounds logic to do a natural cleansing of natural material doesn’t it? I have used this trick this snowy winter on other carpet materials I have ..and it worked out ok too! Read how you can do it here.